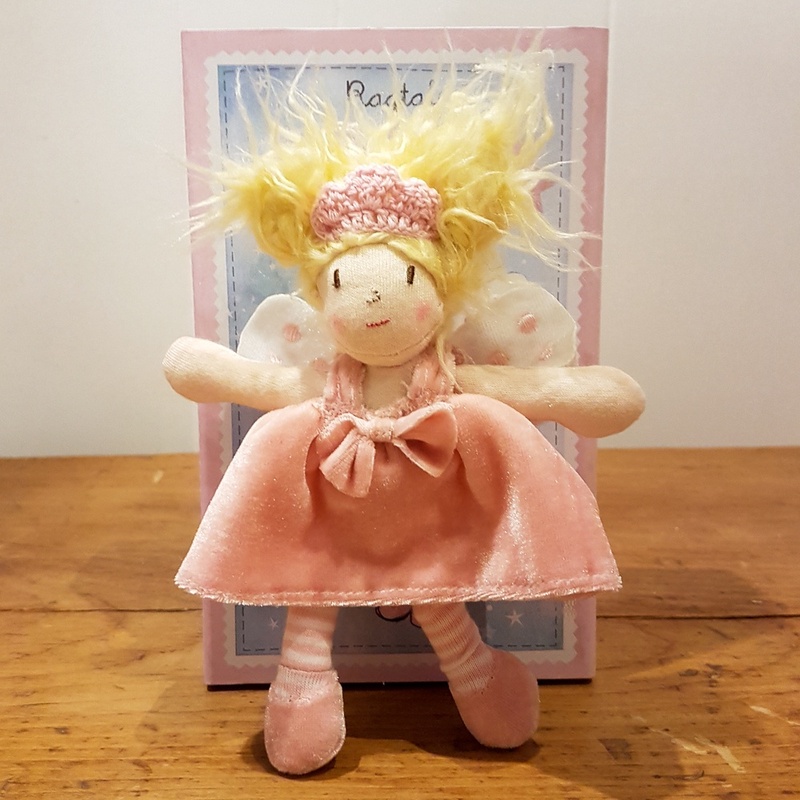 Presented in an illustrated matchbox style box, you'll find a delightful little tooth fairy inside, with a soft cotton body and an embroidered face. With velvet clothing, check out the special tiny backback she's got on, for replacing a lost tooth with a shiny coin! 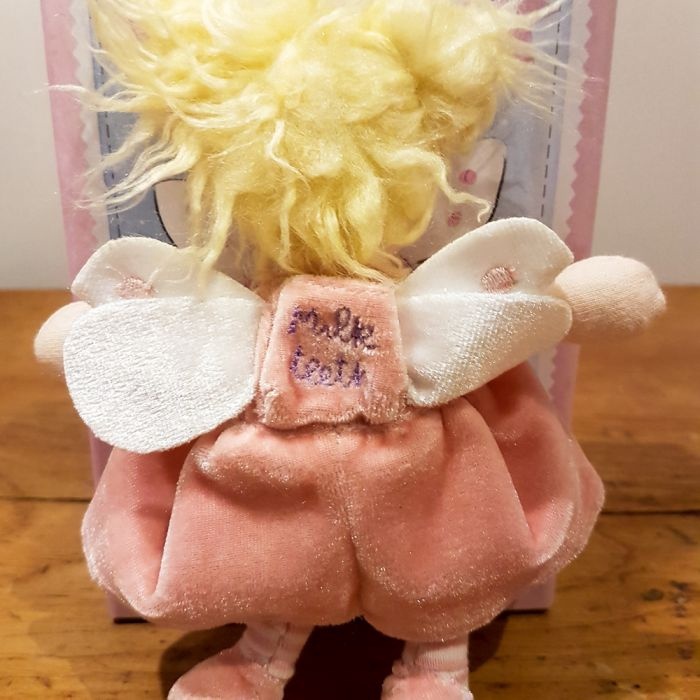 Size: Tooth fairy is 19cm tall.